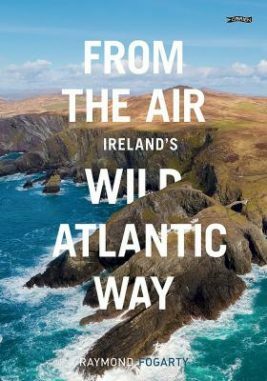 The Wild Atlantic Way covers 2500km, passing through an incredible variety of landscapes – from the verdant forests of Cork to the lunar landscape of the Burren, from rugged headlands and wild mountainsides to lazy rivers and brooding castles. Raymond Fogarty’s spectacular drone photography brings a new and thrilling aerial perspective to one of the world’s longest coastal touring routes. Ireland’s west coast is blessed with many examples of days gone by – where Iron Age forts, medieval castles, abbey ruins and round towers add to a special sense of timelessness. This will give you a taste of what’s to be found; it’s a record of a six-week adventure of one man and his camera drone.